We’re happy to add a new service to our business in 2019. Espaliered Ginkgo are so easy to prune! 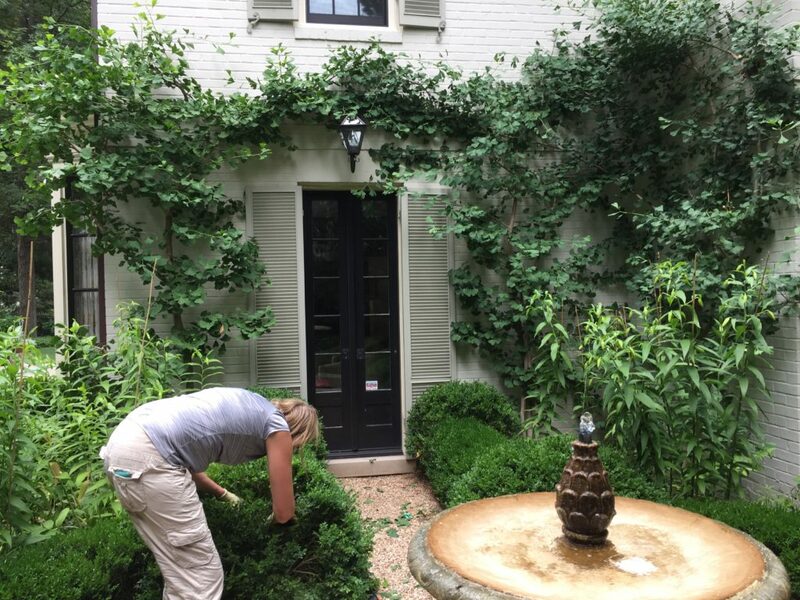 Annika pruning box after we finished with the espaliered Ginkgo (behind). Don’t let bad box pruning happen to you! 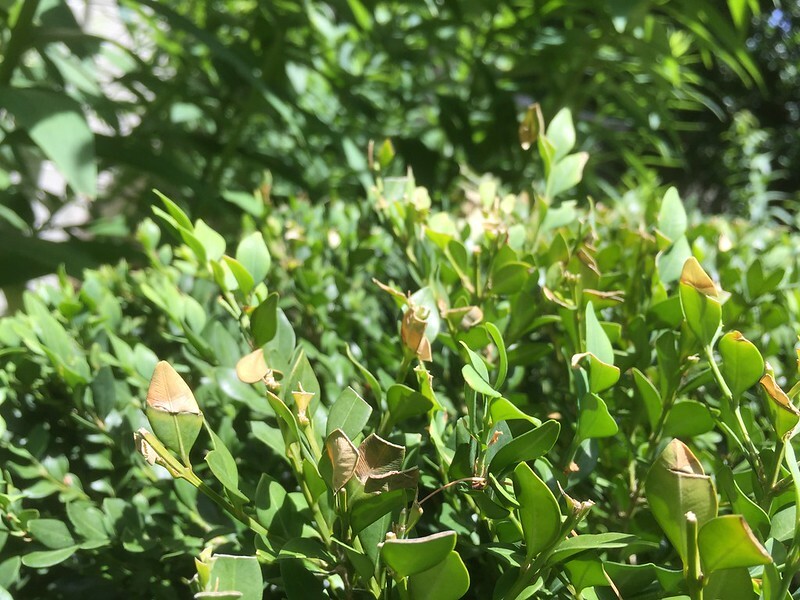 Friends don’t let friends shear boxwood: Check out the brown leaves cut in half, carelessly and needlessly wrecking photosynthesis potential for making food for the plant. 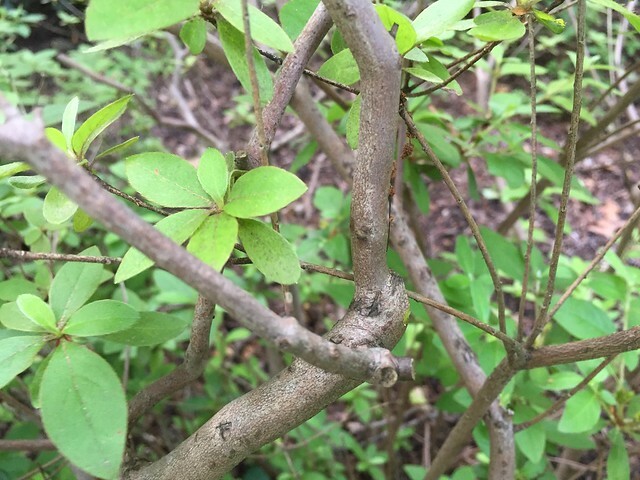 This type of “pruning” also, unfortunately encourages foliage to grow as an outer “shell”, blocking light and air circulation to the interior. SAD! 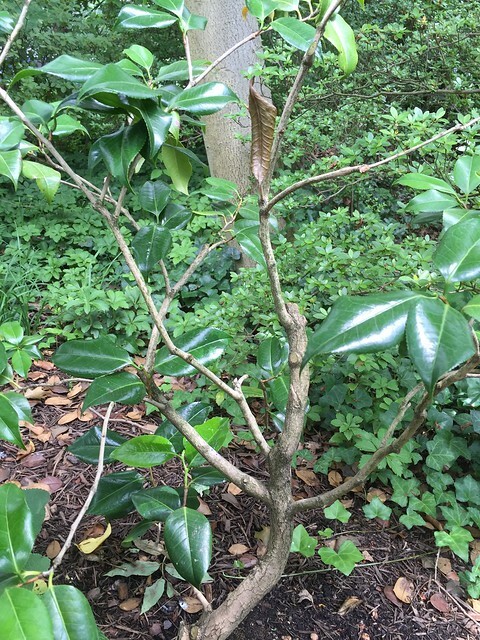 PbD | Is my camellia dying? 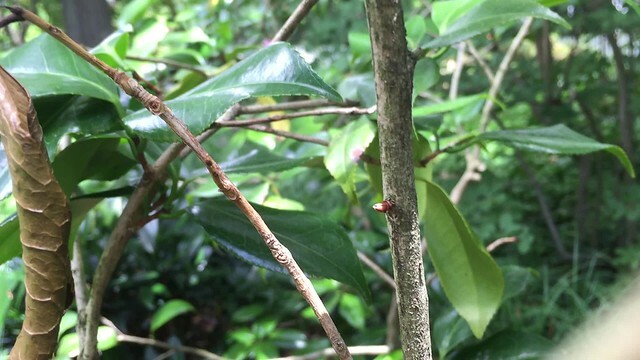 Now is the perfect time to help the Camellia by pruning the branch back to the bud. 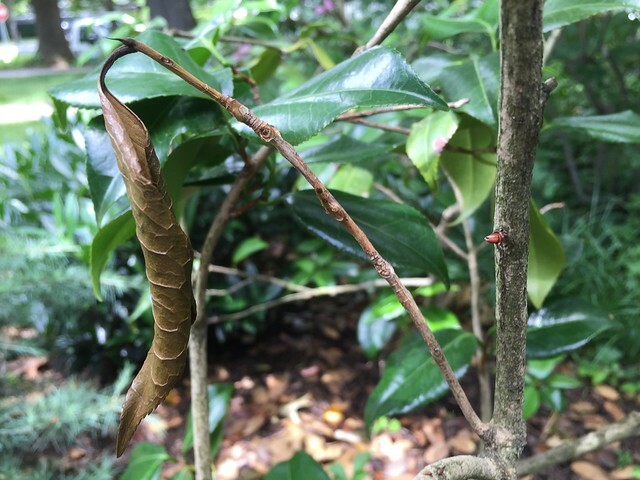 By pruning it back this way, the plant can focus it’s energy into helping the new bud develop into food producing foliage. Once you prune it, it will be much happier. Take off the brown leaf as well. PbD spring summer Hot Pots! 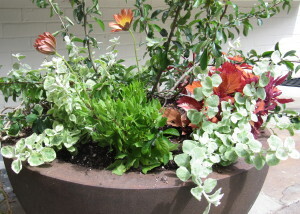 With spring now here, we have developed a “HOT POT” container series that we are happy to present here. 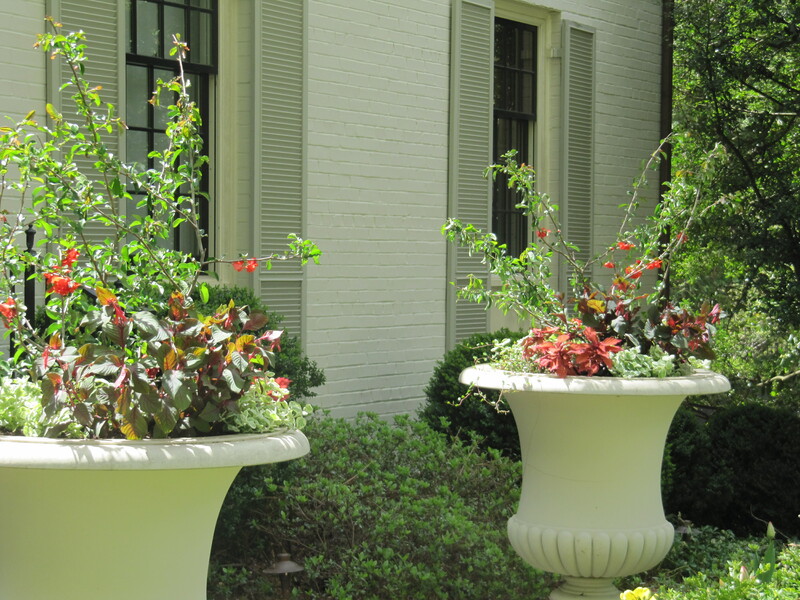 These were done for a client with a light cream colored house who loves hot colored plants which will stand out perfectly. Once the pots have a chance to settle in, perhaps we’ll show them later in the season, too and see how they did. Despite the bitter cold and soggy snow that blanketed Washington DC this winter, March has arrived. We know spring is coming because if you look closely enough, you will see the tender leaf tips of bulbs, especially daffodils, just emerging. Right now, we are working quickly in gardens to take advantage of the great opportunity to prune in the last moments of winter. 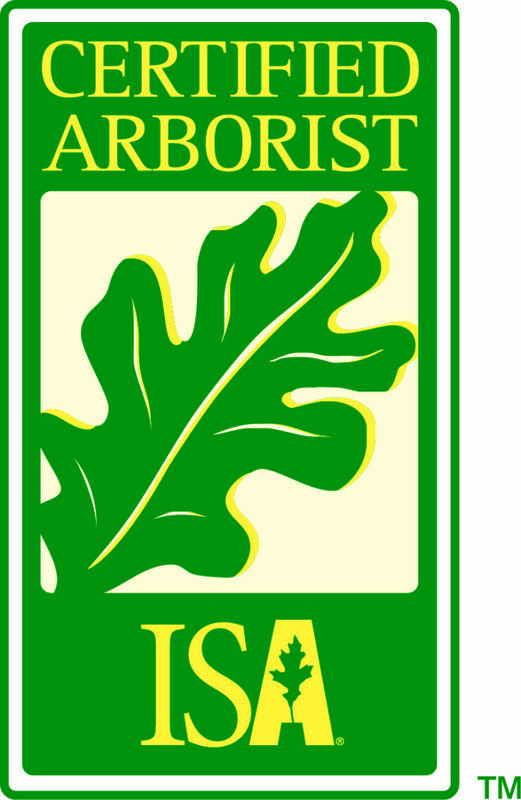 Many plants and trees should or MUST be pruned at this time of year while the temperatures are consistently below 50 degrees ferinheight. And besides, who can sit inside any longer? Basically, if a woody plant or tree will bloom from stems that grow this year, then winter is the time to prune them. Mostly, these are plants that will bloom in summer and fall. Doing so now is much easier on the plant. Since they are not putting energy into growing, cuts heal more quickly and there is much less risk of spreading any disease. 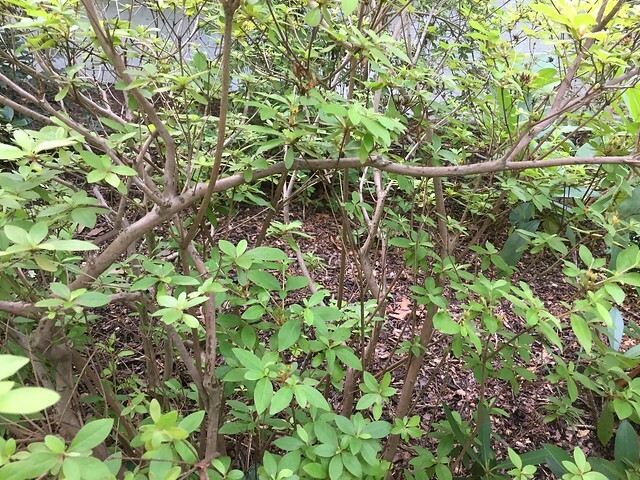 On the other hand, if blooms grow from older stems, stems that grew last year or earlier, then we need to wait till after they bloom to prune them. Many of these are spring bloomers. 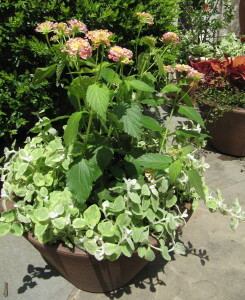 Care should be taken with Hydrangeas to be sure they are not Oakleaf or Hydrangea macrphylla. They bloom on old wood and if you prune them now, you will remove flowerbuds. These can wait till later in the season. One more easy task to do now is to cut back liriope and other ornamental grasses. By now, they can look so shabby it’s difficult to bare. 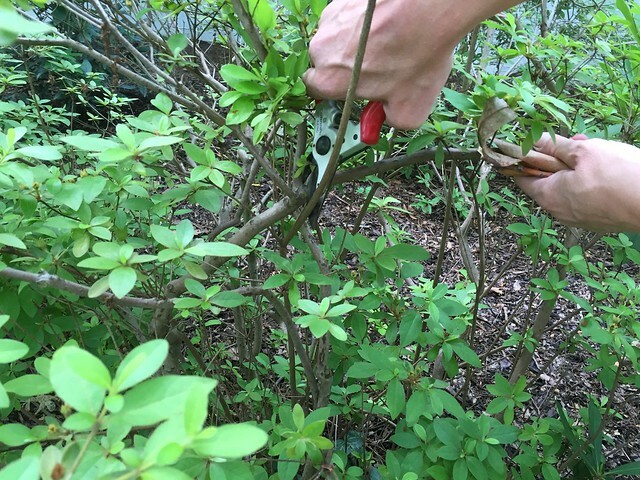 Cutting them back gives new shoots an opportunity to absorb light and relieves the plants from trying to sustain the old blades at the same time they need to feed new ones. It won’t take long before the new growth will cover the stubble, which in any case is still better to look at than the tired, brown salt suffering stems. 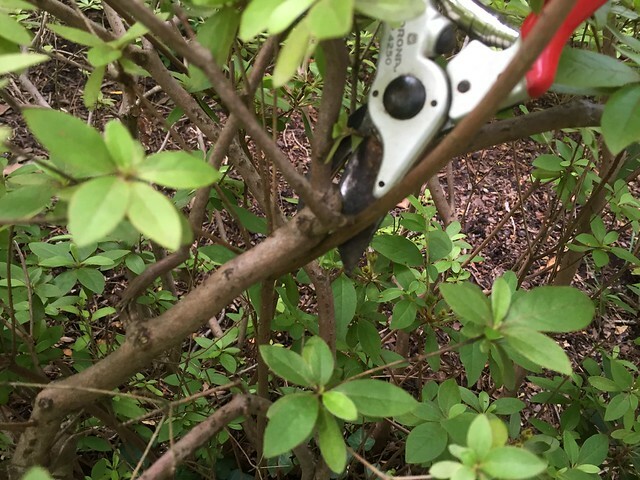 It’s always ok to prune off damaged or week branches. It’s not always easy to see if a branch that’s dormant is still vital, but looking very closely can reveal life so take a minute to inspect. Finding the first signs of life in the garden is a genuine thrill. To Do in MAY: Time to Toil in the Soil! Finally the month of May is upon us and the gardening season is in full swing. You could work in the garden from sunup to sundown all month long and still not get everything done that you wanted to. So here’s a list to help you prioritize. Be ready to water as needed, especially in the vegetable garden. Most vegetables and landscape plants need an inch of water per week (either from you or Mother Nature), but seeds need more when germinating. Get out there and plant something. This is an ideal month to start a vegetable or flower garden project. We have a long, forgiving growing season, so it’s not too late. 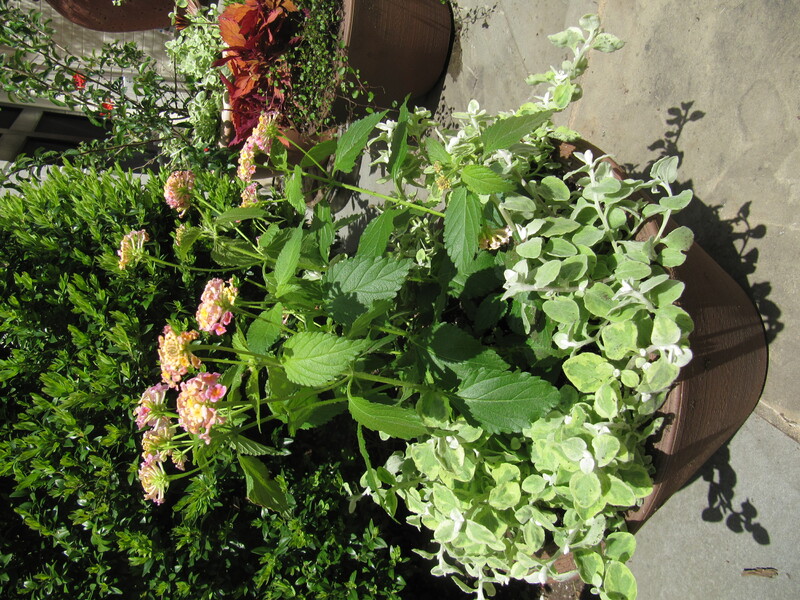 Select easy-to-grow plants that love hot weather. 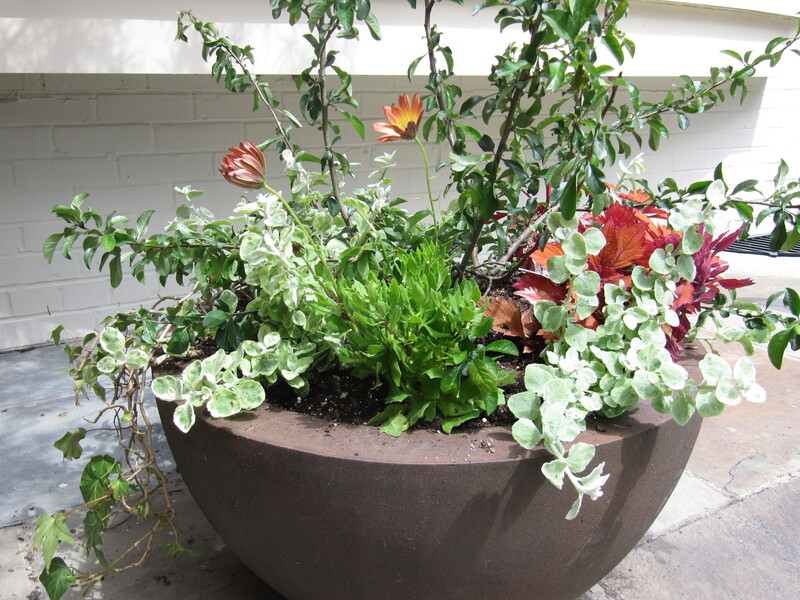 Consider planting a cherry tomato in a big pot, or sowing some zinnias in a strip of sunny soil. Mulch everywhere, from the veggie patch to the rose bushes. Only two cautions: don’t pile it up too deeply (3-4 inches is plenty), and don’t pile mulch up against the trunks of your trees. Turn spring compost piles. 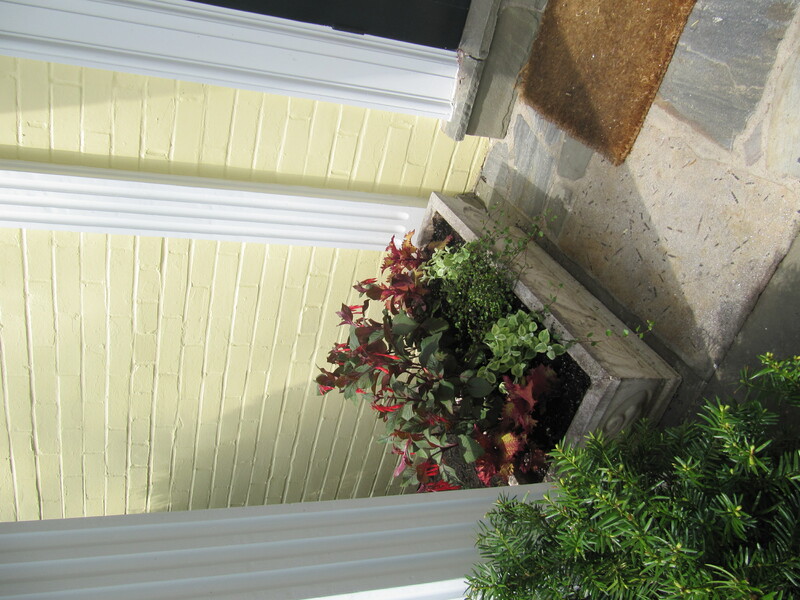 Keep adding green material (spent pansies, finished mustard greens, etc.) to the compost heap. Sow all kinds of beans, summer squash, cukes, basil, sweet corn, warm weather greens and heat-resistant lettuce in a cool spot. Don’t forget Asian melons and veggies, including yard long beans. Transplant tomatoes, squashes, melons, watermelon and cukes. Plant out peppers, eggplants, edamame, peanuts, peas, okra and sweet potato sets. Top-dress vegetables with an organic fertilizer, compost or well-rotted manure, and be mindful of water. Veggies don’t like stress when they are small and growing. Use Bt (bacillus thuringensis) as needed to control cabbage caterpillars on brassicas. Prune spring bloomers as they finish blooming. Deadhead roses to encourage more blooms and apply an organic fertilizer. Watch for signs of fire blight in pears and apples, and cut off infected branches following Cooperative Extension advice, dipping your shears in bleach or alcohol between cuts. 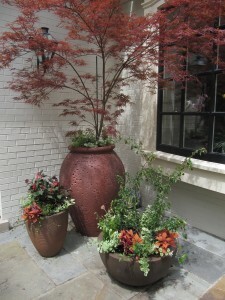 Dispose of branches by burning or bagging and tossing. Don’t leave them on the ground or put them in the compost. For larger fruit, thin peaches, plums, and Asian pears to 4 to 6 inches apart. Set out transplants or sow seeds for all kinds of heat-loving annual flowers, from amaranth to zinnias. 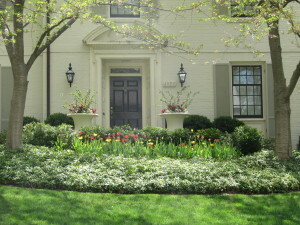 Don’t forget summer bulbs, including gladiolus, crinums and tuberoses, and foliage plants such as coleus and Caladium. 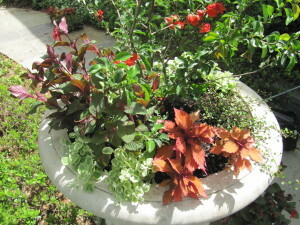 Plant moonflower (Ipomoea alba), caladium, coleus, zinnia, and other heat-tolerant flowers. Want an instant hedge that will stop traffic? Try some of the new sunflower varieties, or the Van Gogh mix from Parks Seed. Plant sunflowers in full sun. Cool season grasses such as fescue need regular mowing and watering. Mow fescue high (3 inches tall) and it will shade out weeds. Use a mulching mower. Don’t fertilize now. Warm season grasses, including Bermuda grass and other sub-tropical grasses, will begin to grow actively. Feed with an organic fertilizer rich in nitrogen. You can mow these grasses at a lower setting. 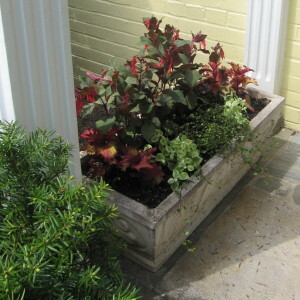 Move indoor plants out to the porch, patio or front stoop. Fertilize them with a mild, liquid organic fertilizer.